Smartliner are a Polish builder who have been producing boats for 10 years. This model comes with a twin wheel braked road trailer, a 2009 model 90 HP Honda BF900 4 stroke main engine which gives up to 28 knotts and a 2000 model Yamaha 8HP 4 stroke engine. There is a life raft not due for service until MAy 2020 and ample nav gear including Chartplotter, VHF/DSC Radio and depth sounder..
She is a fast fisher/cuddy day boat CE marked for 7 persons. The main engine has covered 3200 hours and was last serviced in September 2018 having covered only 10 hours since. She is stored out of the water on her twin axle braked trailer. 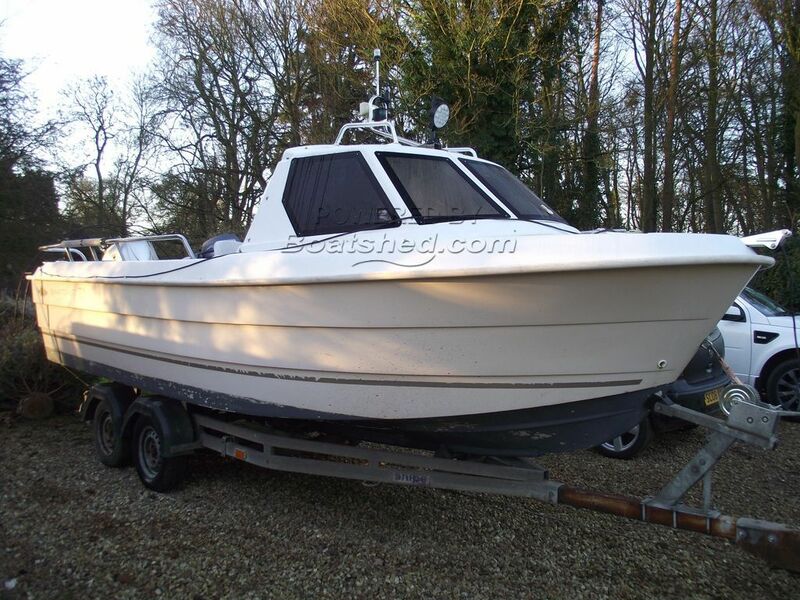 This Smartliner 21 Cuddy Fast Fisher has been personally photographed and viewed by Gary of Boatshed Norfolk. Click here for contact details.